“Above the Fold” Funk, Soul & Jungle. Freddy Wils breaks the silence from the Annex camp. Sounding the battle cry over the air waves for From the Annex satellite studio. This session is EPIC. In his own words “...been a skinny minute.” Glad to see his time away has only caused him to raise the bar. 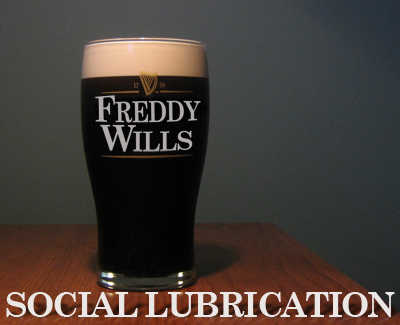 Social Lubrication is a cross genre radio show that invites you all to come take a musical journey to anywhere. With your host Edward the Librarian as he with special guests dig through the 312a Annex in search of musical gems and melodic mayhem. To find other radio shows by Edward the Librarian check out www.fromtheannex.com. Here you will also find music and product reviews, DJ insights, and general off color commentary.